Art4Agriculture Chat – Page 88 – The world needs creative, innovative and courageous young people who can connect, collaborate and act. We know that youth may only be 20% of the population but they are 100% of the future. The time is now to let them share their dreams and design the future they want to see. fewer resources whilst generating less on farm waste. farmers can understand and transfer into on farm action. 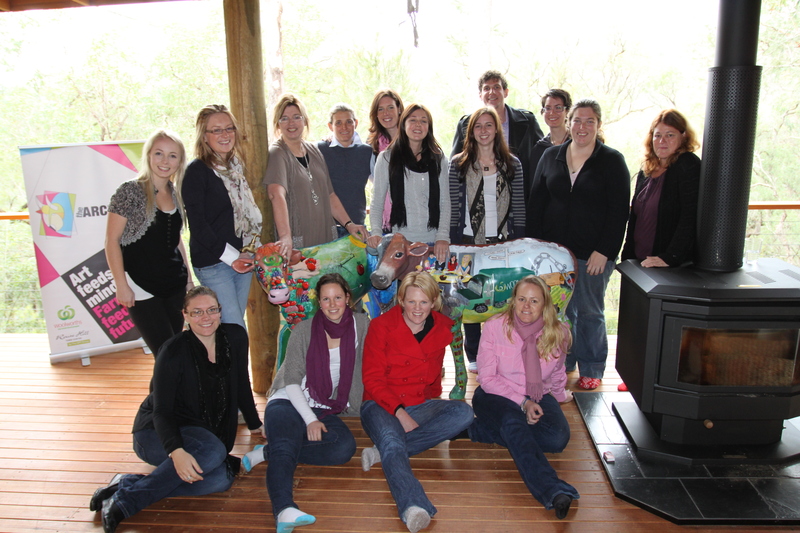 Positively changing behaviour towards helping reduce the impacts of climate change. The Eureka Prize winners will be announced on 6 September 2011. In just two years Art4Agriculture has attracted 50,000 hits to their Cream of the Crop web based agriculture education resources written for young people by young people. Lets see if we can double this in 2011.
then tell your story and Win a CASH PRIZE! The Cream of the Crop Competition invites students in NSW secondary and tertiary education institutions to create a PowerPoint or a video which can be published on the web and win $500. The competition invites NSW secondary and tertiary students to promote the importance of agriculture to their peers, to encourage a better understanding of agriculture as well as promote agricultural careers and rural life. 1. The PowerPoint Category asks students to create a PowerPoint presentation about an aspect of agriculture, whether it’s their studies, their farm, a policy issue, their region’s industries or the career of someone they respect in agriculture. Previous finalists have covered topics such as the importance of buying Australian produce, sustainable farming, agriculture and technology, climate change, regional towns, the Locavore Movement and most agricultural commodities. 2. The Video Category is new this year. It asks students to make a short film about an occupation that links to a career in agriculture. This can be as diverse as an agronomist, an accountant, a veterinarian, an auctioneer, a stock agent, or an IT expert – the possibilities are endless, and that’s the important point to remember about agricultural careers, it’s not all mud and flies! 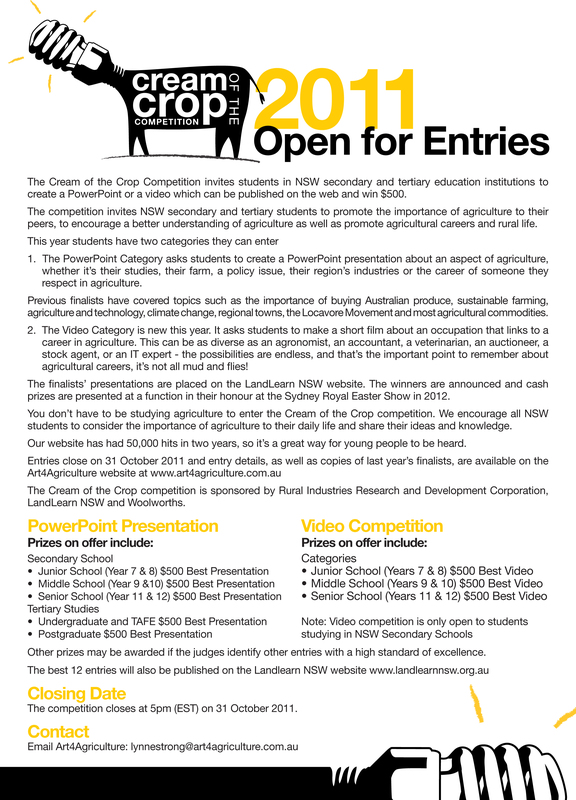 The finalists’ presentations are placed on the LandLearn NSW website. The winners are announced and cash prizes are presented at a function in their honour at the Sydney Royal Easter Show in 2012. You don’t have to be studying agriculture to enter the Cream of the Crop competition. We encourage all NSW students to consider the importance of agriculture to their daily life and share their ideas and knowledge. Our social media resources have had 70,000 hits in two years, so it’s a great way for young people to be heard. Entries close on 1st December 2011 and entry details, as well as copies of last year’s finalists, can be found below. The Cream of the Crop competition is sponsored by Rural Industries Research and Development Corporation, LandLearn NSW and Woolworths. The competition closes at 5pm (EST) on 1st December 2011. The world has fallen in love with social media and so have farmers. Facebook, YouTube, Twitter, Blogs and SlideShare (just some examples of the diversity of social media opportunities) have provided a new and exciting information freeway for farmers to share their stories and help build trust and understanding within the community of modern farming practices as well the challenges farmers face in providing affordable and nutritious food for families all around the world. This is so important as modern practices are moving so much faster than education resources. On top of this the current value change model is moving farmers further and further away from their customers. “A blog can bring readers together on a regular basis, regardless of geographical distance and the site becomes more than a noticeboard. 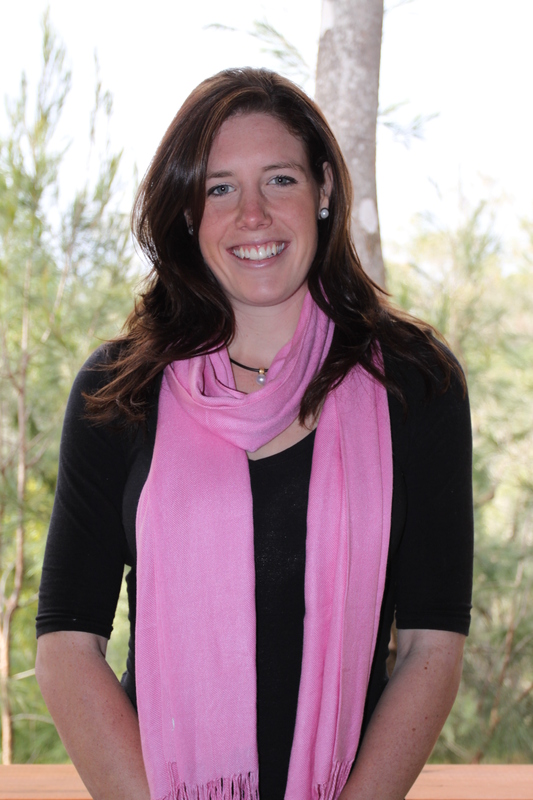 It becomes a forum where communities are developed.” says Sally Davison from the Australian Farm Institute. Another local example of a similar Twitter initiative is Alison Farleigh’s fortnightly Twitter discussion forum called Rural Mental Health to raise awareness of the issue and engage with people in rural communities. By using the #RuralMH anyone can see the discussion and take part if they wish to. #Agchatoz offers a weekly forum for people to post tweets on a wide range of agriculture topics. Agchatoz now has over 1200 followers. 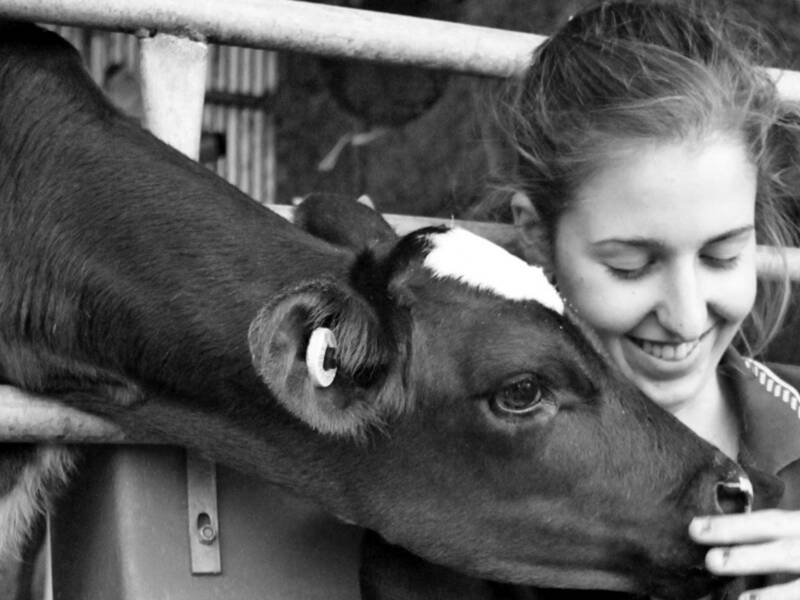 Art4Agriculture’s Jet and Emma are undertaking a dairy traineeship as part of their HSC. They work at dairies in the beautiful Jamberoo Valley on the NSW South Coast and they share what they are learning everyday with their ever increasing fan base. Together with the finalist presentations from the Cream of the Crop Competition www.art4agriculture.com.au/ we are very proud to say we have attracted over 50,000 hits on the web.